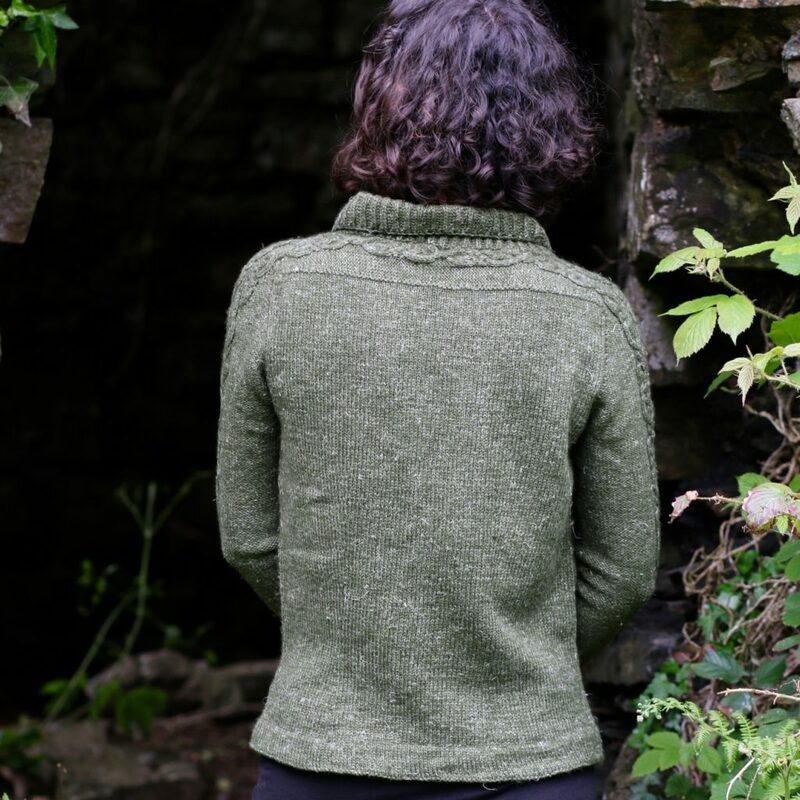 At last I can share the first of my Nua Collection Volume 2 with you all, Cymric Cardigan. This collection is available in a few different ways; print (with digital copy), digital only or as individual patterns. All purchases from my website allow you after checkout to add the pattern to your ravelry library but you can also find the digital version directly on ravelry here. Every few days there will be a new pattern added, if you’ve purchased the collection you’ll get a link to a new download as each pattern is released. If you’ve ordered a print version it will be shipped a the start of December (you’ll be getting all the pdf updates as well). All versions of the collection will have a 10% discount automatically applied until the last pattern is uploaded. 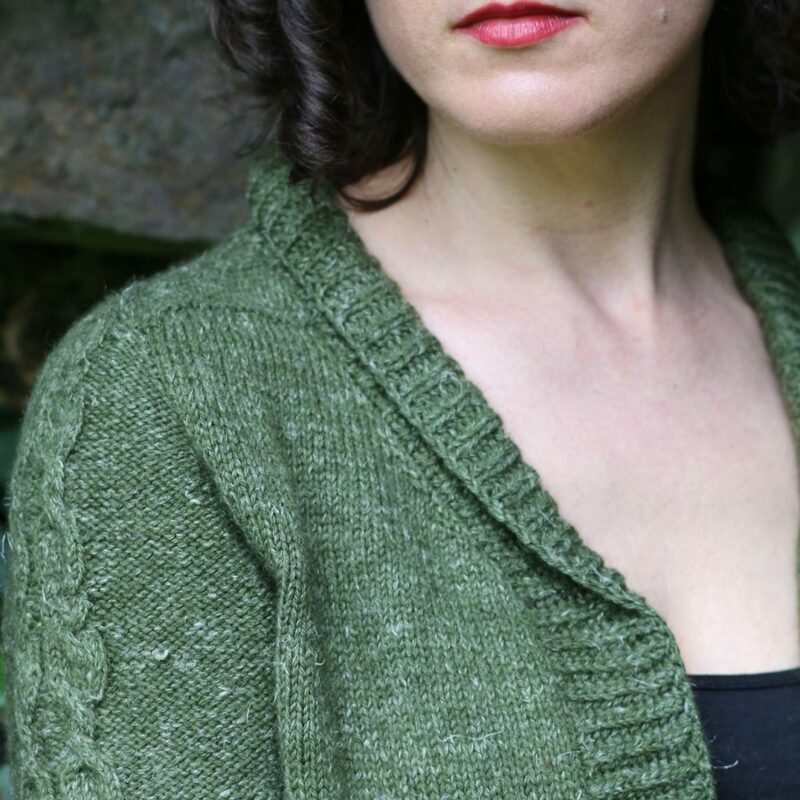 There’s also a Nua yarn discount code in the pdf! This cardigan had a lot of firsts for me; first time working with top down simultaneous set-in sleeves and also first time working with Brioche stitch! I love learning new things, it keeps knitting fresh and fun for me and reminds me not to get too set in my ways. So lets take a look at the construciton. It starts with a provisional cast-on at the center of the upper yoke. The saddle shoulder is worked then out one side and the stitches are held. Then you go back to the provisional cast-on and work the very same way in the other direction. 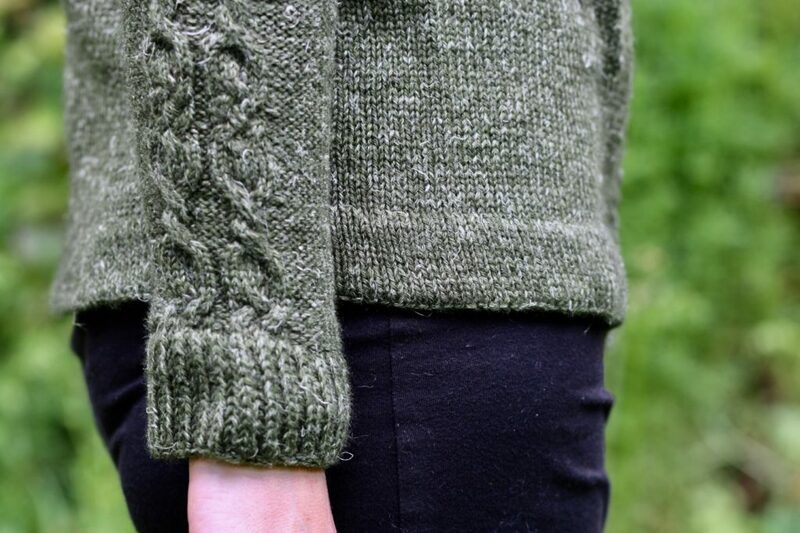 At this point you’ll pick up stitches from the bottom of the yoke at the back and from the fronts and work straight down for a little bit, finally the sleeves are picked up and you’ll work the complete yoke down all in one piece, increasing for the sleeves as you work. I was very happy with what a neat, tidy sleeve cap it produced. You can see here that the bottom edge is finished with with a folded hem that is held using a whip stitch on the inside. Here’s the part that was new to me; Brioche Stitch. I think I might be in love; it’s fat, soft, squishy and a lot of fun to work. You might be seeing a whole lot of this stitch in my future! You can see from the collar edge that I’ve made it a shawl collar. I did this by working German Short Rows in Brioche stitch. It sounds like it should be complicated but it’s remarkably easy; I put a little video together here to show you how straightforward it actually is. So come join me over the next few weeks on the Nua Collection Volume 2 adventure and learn some new techniques! I took a Brioche class at craftsy and was discouraged so I didn’t finish. I could not get it right. Very confusing. I’m willing to try again with this beautiful cardigan. I ordered vol2.